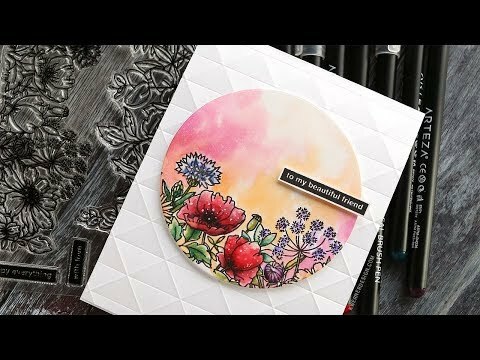 Watercoloring stamps from Mama Elephant using Arteza Watercolor Markers. Happy Monday, all! Today I have another card made using new stamps from Mama Elephant. I used the Wild Meadow stamp set and colored it using watercolor markers.